News, future plans, and experiences related to our products and services. I hate it when I waste my time doing the same tasks over and over again. That’s why we created Nelio Content, so neither you or I get stuck with boring stuff! Check it out! This past weekend I did an experiment: I left my cell phone locked in a drawer and decided to completely disconnect from the virtual world. I took the opportunity to see my grandmother, go out to dinner with friends, do some laundry… I basically enjoyed a 100% analog life. Fast forward to next Monday, back to the office, I take a look at Twitter and whaaaaat? I had a few hundred missed tweets 😱 What the heck, man? Any Twitter user (whether you are a regular or sporadic user) know how fast this social network moves. According to Hubspot, there are more than 9,000 new tweets every second, with an average lifetime of about 18 minutes each. My goodness! That’s frenetic! 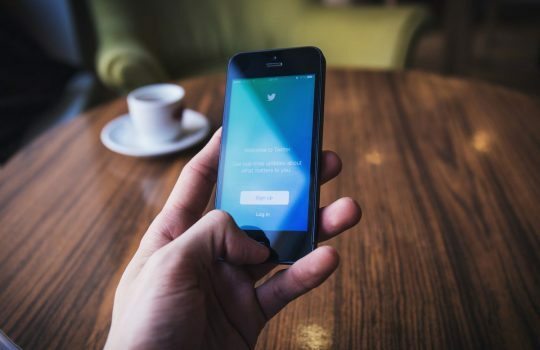 Considering the amount of content (or noise, if you will) that is generated per minute on Twitter, it’s easy to see that the chances of your tweets having some impact are very small. Wait! Twitter can be and actually is a very good platform to drive traffic to your website. However, to achieve this you must know its ins and outs and be smart about it. In this post you’ll learn the 3 secrets to make your blog stand out on Twitter and attract more traffic. Are you up for it? We’ve been talking about the concept of Inbound Marketing and the importance of making your blog grow. As you may already know, Inbound Marketing is a term coined by the founders of Hubspot that refers to the idea that, instead of trying to reach your audience through classic advertising, you should generate content of interest to attract them. I mean, they’re the ones looking for you and not the other way around. Want your content to succeed on Twitter? First invest some hours in creating great content. Source: Giphy. Social networks in general and Twitter in particular play a very important role in Inbound Marketing strategies. The followers you have in social networks are your followers because what you offer them is of interest to them, which is precisely what Inbound Marketing stands for—give them what they want, and they’ll keep reaching you. The first secret to ensuring that your message is not lost in the whirlpool of Twitter is to publish with a high frequency. As we have just mentioned, the lifetime of a tweet is 18 minutes and thousands of tweets are published per second—it doesn’t matter how many followers you have, your tweet will probably go unnoticed. However, if you tweet often and with some frequency, you increase the chances that your followers will see some of your tweets at some point. Twitter moves very fast, so make sure to have tweets often in your timeline. If you share content frequently, you increase the chances of your tweets being seen. Imabe by tonybabel on Giphy. From our point of view and our own experience, you should publish a maximum of 15 times a day from one single Twitter profile, spreading the messages. And, of course, sharing content of different topics. Then there’s also a discussion about the best time to share those tweets. Should you tweet in the morning? Throughout the whole day? What works the best? Well, I’m afraid that, once again, there’s no clear consensus here either—there’s no one-size-fits-all solution. Share relevant content with style. Don’t rely on boring templates. Source: Giphy. The best way to create these different tweets quickly and efficiently is to use the content we already have. For example, did you notice that the second tweet I showed you is a phrase that appears in the introduction? By extracting fragments with interesting facts or catchy phrases from your post, it’s very easy to create unique and interesting tweets. 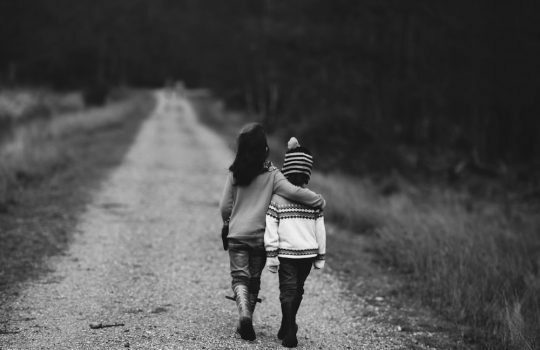 The last piece of advice I am going to give you today is perhaps the most important of all—you’re not alone. One of the great things about social networks is people. Social media offers you a huge network of mend and women that can help you spread your message. The moment you realize this and do something to leverage it, your marketing campaigns will take a qualitative leap. There’s plenty of people in social networks. Why don’t you ask for their help? Picture by hulu on Giphy. One of the most common tips when creating quality content is to link to external sources. Such links are good for several reasons. On the one hand, they allow your readers to have more information on a topic that we know interests them, and you’ll save them some time (which, in the end, will benefit you too). On the other hand, linking to other authors allows you to identify people who are probably experts in the topics you cover, so you can reach them and build your own “expert network”. There are numerous WordPress plugins that make it easy to share your blog content on Twitter. Some of them, for example, highlight parts of our content that our readers will then share (if we’re lucky), such as Better Click To Tweet. Others are responsible for publishing a tweet when a new entry appears on our blog, such as the well-known Jetpack. And others allow you to automatically reshare old content to extend the life of your posts and spoil the long tail SEO, like Revive Old Post. Featured Image by freestocks.org on Unsplash. Did you know that we’re only three people here at Nelio? And, yet, our posts are pretty cool, huh? That’s because of our new plugin, Nelio Content! Do you want to use it too? WordPress is a hostile environment. After several years of developing plugins for this platform, I have no doubt about this. If you don’t follow the development guidelines and skip the good practices, you’ll make a mess. But worst of all, even if you’re careful and do things right, there are a lot of problems out there that can affect the quality of your product. And most of them, in an open source environment like WordPress is, are out of your control. 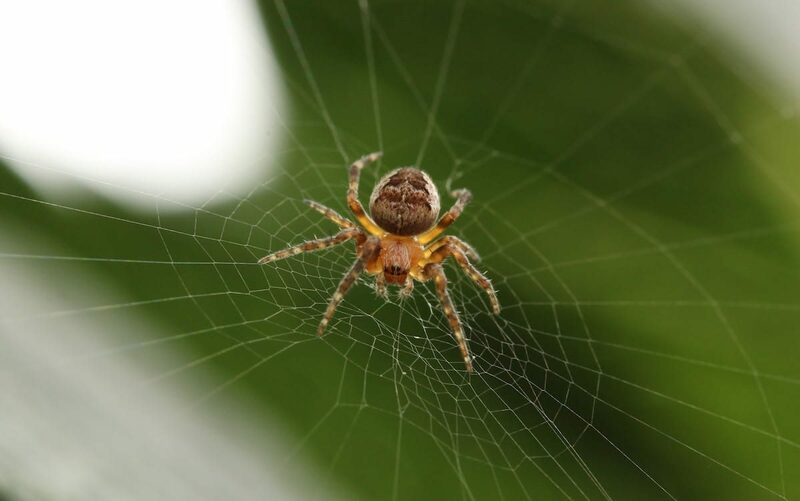 Welcome to the web development world! Are we getting older and like to look back on the past? It’s possible. But I hope these posts will help you and other developers to avoid making the same mistakes. That’s the reason we share our experience. And, trust me, what I’m about to tell you today is pretty interesting too. One of the most important aspects of a business like ours (small team selling WordPress plugins) is the support you provide to your users. This is where you really gamble it all. If you’re not able to help someone who pays for using your WordPress plugins, it won’t be long before they abandon you and run away to fall into the arms of your competition (which will likely have more resources than you do). So keep in mind that every support ticket is a business opportunity and don’t screw it up! Thanks to support you can win those users/clients who have a problem by helping them as they deserve and solving the conflicts they may have with your product quickly and effectively. But it’s not always possible. Allow me to illustrate it with a recent example…. Sometimes you have to investigate some pretty freakish problems. Message on Facebook with correct information but whose image returns a 404 error and therefore does not appear. We had faced this specific problem on other occasions. Usually, this occurs when the client’s website does not correctly define the Open Graph metadata (Ruth wrote a post about it a while back). Given our past experience, this was the first thing we checked… but all meta tags were there. What was wrong? 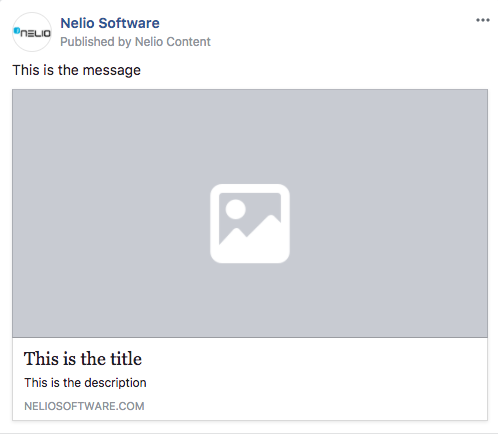 When sharing content on Facebook, Nelio Content, like other similar tools, only shares the URL of said content—that is, it’s Facebook who accesses the URL and tries to extract the title, description, and featured image out of it. In the case of our client, both the title and the description were correct, and only the image failed. After much research, it turned out that the cause of the problem was a server module that was activated in certain requests and returned a different URL for the images. Apparently, this module served a reduced and optimized version of the image that improved the loading of the web… Unfortunately, the server wasn’t properly configured and alternative URLs of your images were only served occasionally. And, even worst, they resulted in a 404 error! How Far Can I/Should I Help You? In a case like the one described above, helping to solve the problem involves managing, monitoring, and administering the client’s hosting in order to avoid incorrect configurations that affect the behavior of your plugin. And also of external services that access your website, such as Facebook or LinkedIn. This is what requires the typical maintenance contract that any web developer will offer you to ensure that your web remains alive and updated over time. At the cost of a monthly fee, of course. But this isn’t our business. The problem here is how to explain the situation to the customer. Why you can’t help them. On such technical issues, the client doesn’t care if the problem occurs because the server is configured incorrectly—after all, it’s your plugin that’s not sharing content well on social networks. That’s what happens to them and you’re not fixing it. Even if you explain it in detail, this is often the case. Making your clients understand that you are not guilty of what happens to them can be complicated. But your plugin works perfectly! It passes the proper URL to social networks. And these are the ones that can not access your website correctly and extract the appropriate data to show it on their platform. But this is not true either, as social networks access this information accurately. The problem is that such information is incorrect. And the cause is your customer’s server, which isn’t properly configured and returns invalid URLs from time to time. So who’s to blame? Is there really anyone? 🤔 Truth is, it doesn’t really matter. When such a problem occurs, what really matters is your customer—they don’t know what’s happening, they just want the issue gone. If you don’t help them, they’ll get a bad impression of both your product and your support service, and you may lose them. But if you agree to go in and try to fix his problem, if you provide support outside your area of responsibility, your business might suffer. How many times have we had to fix problems in WordPress sites of clients that were apparently caused by our plugins but were not? More than we’d like to say. Sometimes you will receive support tickets that have nothing to do with your services. In situations like this, as in everything else, sincerity is essential. We always try to help in everything we can, explaining the technical details as well, without hiding anything. If we are guilty of something, we assume it. We’re not perfect and we don’t intend to be. Our code has errors, like everybody else’s. So when we fail, there’s nothing left but to apologize and fix it. But it’s also important to set limits on the support service you provide. If the problem is caused by a third-party plugin, we contact the developer directly and advise the client to do the same (the higher pressure, the higher the chances of receiving a response). But if what happens is out of reach, unfortunately there’s little we can do. As I said at the beginning, WordPress is a hostile environment. As a business, we don’t have the resources to defend ourselves against plugins of dubious quality or incorrect server configurations. The number of different variables that can affect the correct performance of a WordPress plugin is so big that being resilient to all this is almost impossible. So, even if it sounds like resignation, we do what we can. Sometimes even more. But this is not very comforting, since many times we are left with somewhat bitter feelings because of how everything works and not being able to help more. How many users have we lost over the years due to problems beyond our control? Better not think about it 😫. The life of the web developer is hard 😅. The life of the WordPress plugin developer is hard. What can we do to improve the situation? Will there be a day when all you have to worry about is your code? Where are the limits of the support we provide to our customers? What do you do when your plugin doesn’t work, but the cause of the problem is beyond your responsibility? None of these questions has an easy answer, but I would love to know your opinion. How do you manage support for your users? Leave a comment below 😉. Featured image by Annie Spratt via Unsplash. 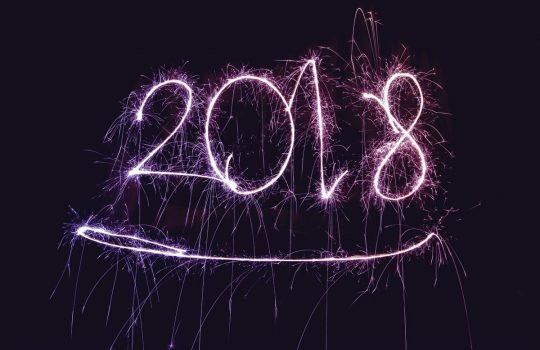 What Does 2018 Have in Store? Last week Antonio shared a review of all the things we’ve achieved during 2017. 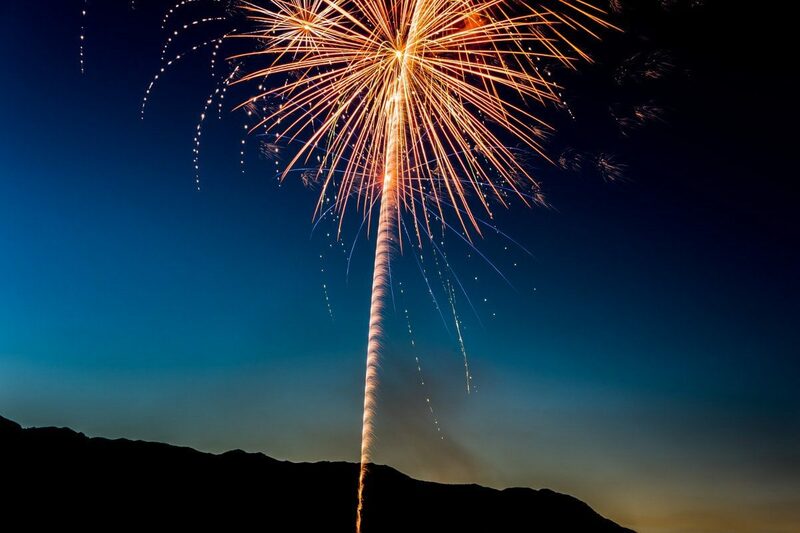 Truth is, 2017 was a pretty good year for us—there were more of you reading our blog and our plugins generated more revenue than ever before. So, thank you very much you all for trusting in us! Continue to improve our services. Take care of our users and make sure they feel special. Tighten our relationship with the community. As you already know, Nelio A/B Testing and Nelio Content are the plugins that help us earn our salaries. Because of that, we invest a lot of time and resources in them, just to make sure that we can improve them at each iteration, making them simpler, faster, and better. How does the 2018 development roadmap look like here at Nelio? 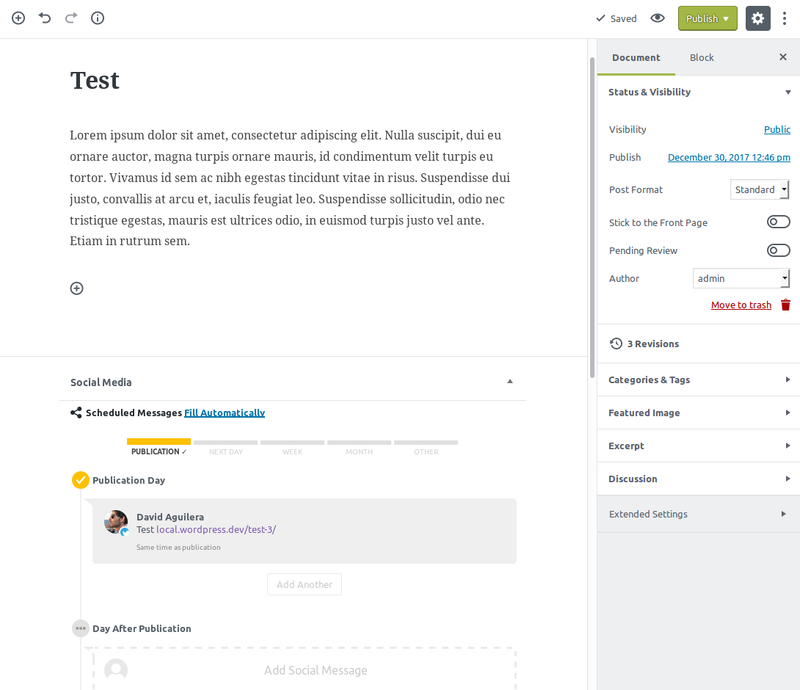 Screenshot of Nelio Content within Gutenberg. As you can see, the integration isn’t perfect yet (we’ll have to tweak a few details), but it already looks quite good, doesn’t it? And that’s precisely what we plan on doing in 2018—we’ll continue to offer the best customer service possible, helping our free users and subscribers as quickly and efficiently as we can, and we’ll also continue to answer all the questions you leave in our blog. Moreover, we’ll work on new materials that will help you become proficient in WordPress—my partner Ruth is currently working on free WordPress courses for you, guys. Finally, as it could not be otherwise we’ll focus on the WordPress Community. We plan to continue to contribute as we’ve been doing since we started this adventure back in 2013, but this time we want to take a step forward and take more responsibilities. On the other hand, Nelio is now part of the organizing team of WordCamp Barcelona, along with other professionals like Joan Artés or JuanKa Díaz. Our goal is to make sure that the 2018’s edition is a complete success, and we’ve started working on it a few months ago just to make sure it’ll happen. So stay tuned, because I’m telling you it’ll be legen-wait-for-it-dary! We’re really excited about this new year and, as you can see, there’s a lot of things we want to do and improve to grow both personally and professionally. What about you? What resolutions do you have? What would you like us to do? Let us know and we’ll review our achievements in 12 months, shall we? Featured Image by NordWood Themes on Unsplash. One of the things I like the most about WordPress is its plugin system–there’s a lot you can do! For instance, you can download and install our new plugin, Nelio Content. The end of the year is coming up, but that doesn’t mean we’ve slowed down the pace of updating our plugins. In fact, last week we released version 1.4.3 of Nelio Content, which comes with new features. We are delighted to get feedback from our customers. 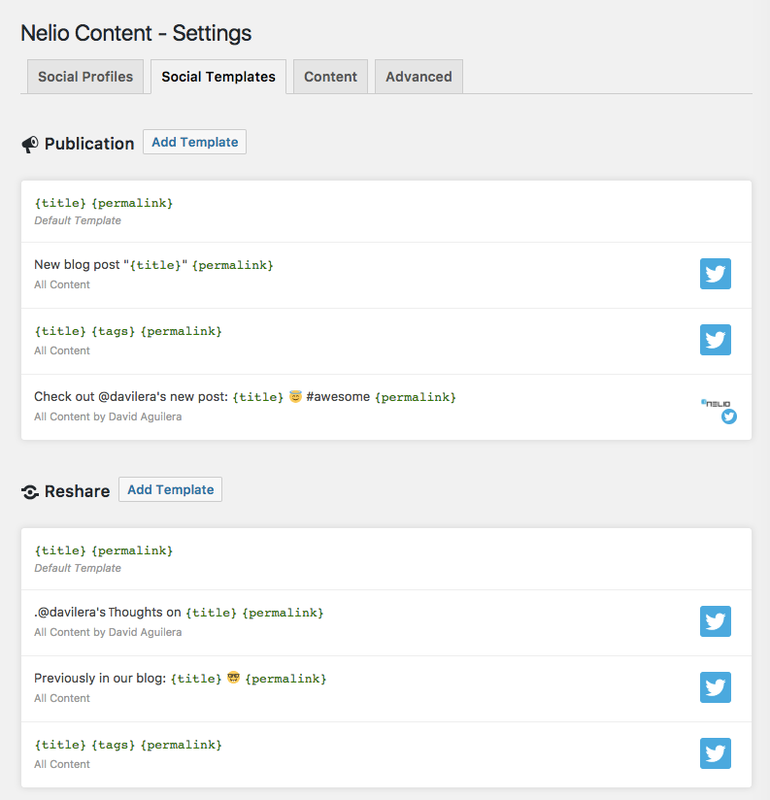 We study any request you make, and if it fits within Nelio Content, we always explore how to add it to our plugin. If you have any additional ideas, please don’t hesitate to contact us and tell us what you would like us to develop. Remember that you have the comments section below. 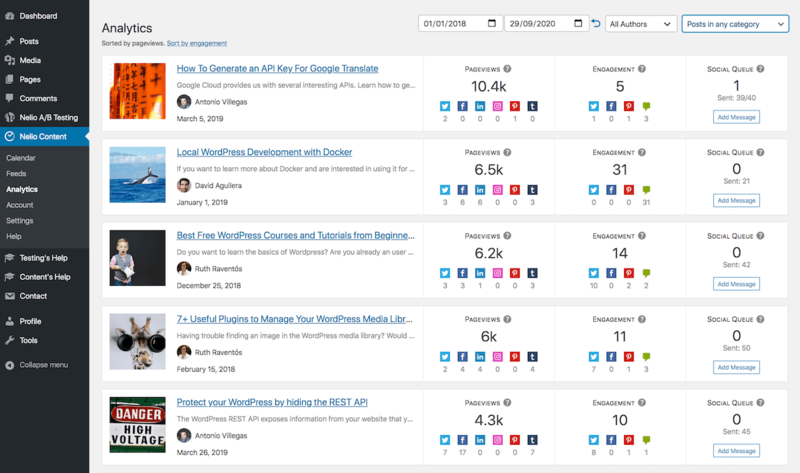 In case you don’t know, Nelio Content adds an editorial calendar in your WordPress where you can see at a glance all the posts or contents you have scheduled in your website. In this way, it’s very easy to control what you have scheduled at all times and then be able to keep up with your writing pace. Some of you told us that it would be great to see this schedule we have in the editorial calendar of Nelio Content in other tools. To do this we developed an option to export the calendar in CSV format. However, we’ve continued to look at this issue in detail to make it even simpler and more useful. 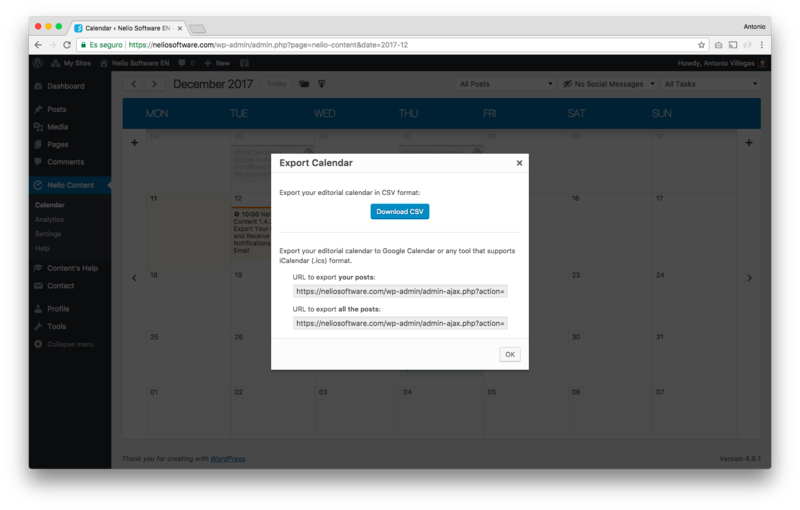 Export your calendar in CSV or iCal format with Nelio Content. In version 1.4.3 we have expanded the export options of Nelio Content‘s editorial calendar so that you can now export it in iCalendar format, which is the most common format for exchanging calendars. Just go to Nelio Content‘s editorial calendar and click on the export icon (you have it just to the right of the month’s name, with the down arrow symbol). A dialog will open where you have the option to download a CSV file with the content of the calendar, and you will also find one or two URLs (if you have at least the Editor permissions) that you can use in other tools that support the .ics format. With one URL you export only your posts (in which you are the author) and with the other URL (which you only see if you are an editor, as I’ve already mentioned) you export them all including those posts authored by others. 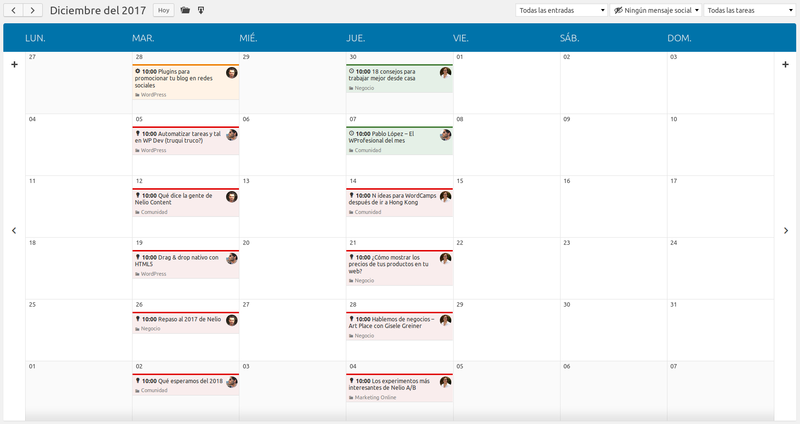 Now we can see the calendar of posts in our blog that we manage with Nelio Content directly from Google Calendar. Please note that due to Google limitations, changes you make to the Nelio Content calendar will not be reflected in Google Calendar instantly. Google Calendar refreshes the information once a day. Remember that you can always use this URL in any other tool that supports the .ics format (Apple Calendar, Outlook, etc.). Another functionality that has been highly requested by our customers is the possibility of learning about changes that occur in their content and the editorial activity of their website in general. We’ve always agreed to this, but finding a way to develop it so that it can be useful for most of our customers (including those using the free version) was not easy. When an post or content changes its status in WordPress (because it is scheduled, published, deleted, etc.). When a user writes an editorial comment. When a user creates an editorial task. When a user completes an editorial task. 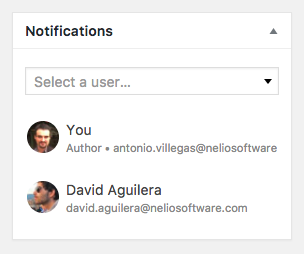 In the Nelio Content Notifications metabox you can add users interested in receiving notifications about a specific post. The Notifications metabox includes a user selector where you can add users to notify of the relevant changes mentioned above. In addition, by default we add the author of the post, so you are notified whenever someone does something with your content. Example of email notification sent by Nelio Content when a post changes its status. Just by looking at the email, David can already know that this post has gone from being an idea to being in progress. 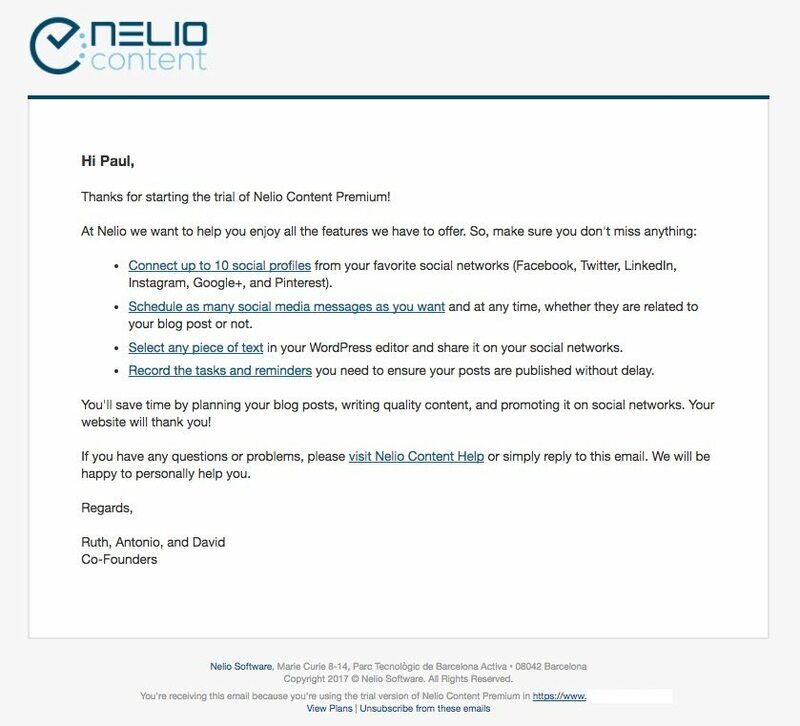 So, even if you’re not always logging into your WordPress dashboard, you can see how your colleagues’ efforts are progressing to get your content out on time with Nelio Content notifications. 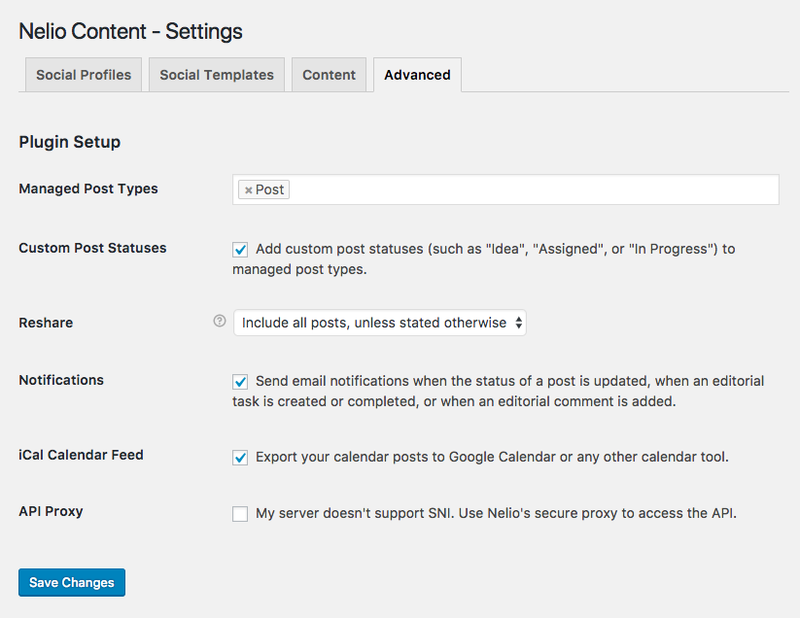 Settings tab where you can activate the calendar export feed and the notifications in Nelio Content. We are very excited to help our users to generate better content in a simpler way. We believe that this update is one step more in the right direction. We are delighted to be able to view the calendar from Google Calendar and also to receive email notifications when there are changes in the content (especially when posts are pending for review). Are you a WordPress enthusiast? If you are, then you need to take a look at our new plugin–Nelio Content. There’s so many things you can do without leaving your Dashboard ever… Discover them all! “We have to increase our reader base, so we’re going to write two interesting, extensive, and high-quality posts per week.” I don’t know who had the brilliant idea (I guess it was Ruth), but I have to admit that it’s paying off: since we made the decision and started writing regularly and consistently, the number of visits has been increasing continuously. The problem? There are times you don’t know what to write about! Sometimes the ideas just don’t flow… and when they do, it seems you’re writing what somebody else already wrote about 😫. If you have to think what you’ll be writing about just a couple of days before a new post has to be published, you’re doing it wrong. 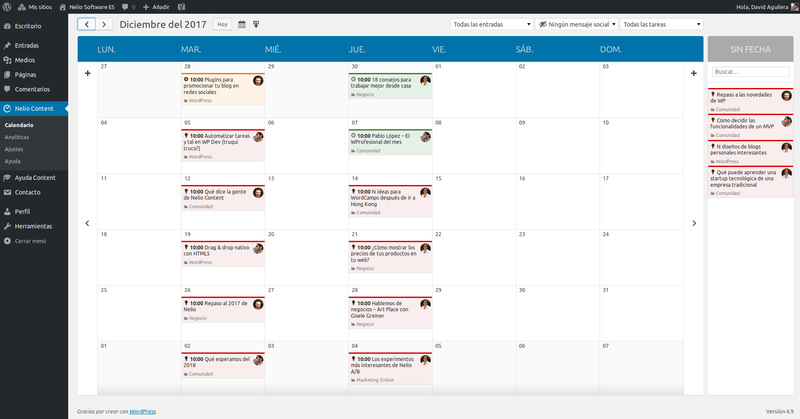 Nelio Content’s editorial calendar offers a fantastic view of the contents of your blog (or the absence of them). As I was saying, at Nelio we like to have several weeks ahead of us and know in advance what topics we will deal with and when. But not everyone is like us; there are people who prefer to have a list of ideas—a list of “unscheduled” posts separated from the calendar, if you will—and decide on the fly what’s going to be published next. The list of Posts in WordPress can be a good place to store your ideas but… well, the UX is not the best in the world, is it? The thing for me was that I really would like to have a place to keep my future post ideas stored. Like a list of unscheduled drafts. A backlog would be a good way to put it. (…) [Something that] allows me to drag & drop unscheduled drafts from a container to a calendar in the same view. One of our customers sent this mockup. When we saw this, we knew we had to implement this feature! Listen carefully to your users and you might hear some awesome ideas. Here you have an example: our editorial calendar now includes a section of unscheduled posts, just as one of our customers suggested. Cool! 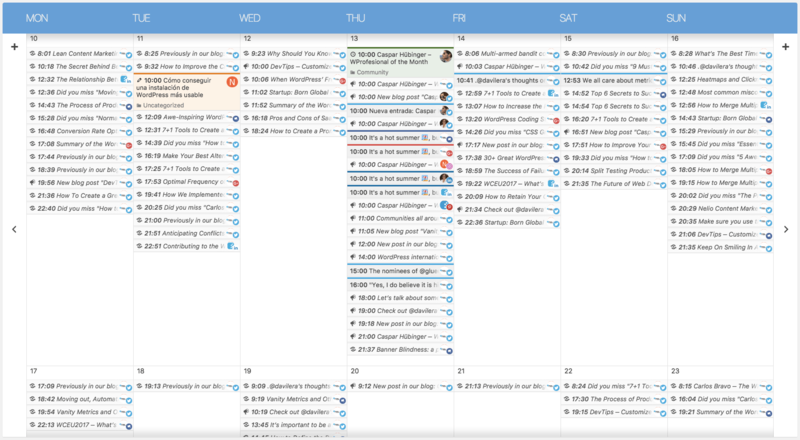 You no longer have an excuse not to use an editorial calendar and organize your ideas like a pro. What are you waiting for to get started? Featured Image by Aaron Burden via Unsplash. If you want someone to get interested in your products or services just offer them for free. Many times customers are reluctant to opt for a payment solution without being able to test it beforehand. Why should I pay without knowing if what I pay for serves my purpose? A very common reasoning, don’t you think? That’s why our premium plugins can be tested (Nelio A/B Testing) or used (Nelio Content) for free. In the specific case of Nelio Content, we offer a free but limited version with which you can connect a social profile by network and plan social messages only at the time of publishing your posts. You can download it directly from the WordPress Plugin Directory and try it out on your site (BTW, I recommend you to do so 😉). The dialog in which we offer the premium version of Nelio Content. Would you say no to this cute little kitten? As you can see, this is a simple dialog that highlights the main advantages of the premium version of Nelio Content. Also, note that we explicitly mention that we won’t ask you for your a credit card during the trial period (so that you are calm and more likely to be encouraged to start the test; always try to limit as much as you can mentioning payment options until you have the customer convinced). From then on, any client who chooses to start the trial period will automatically enjoy Nelio Content at its best. But the question you have to ask yourself is: will you be able to get the most out of it in a month of use? To make sure that the free customer ends up becoming a paying customer you have to make things as easy as possible. And this is where the famous onboarding process comes in, which consists of avoiding bad sensations in the first landing of a user on an application that can condition the rest of the user experience. We don’t want you to feel that way. That’s why we have an onboarding system for you. There are many ways to apply onboarding. Common ones include contextual help, tutorials or wizards that guide you through the first steps or even presenting a knowledge base with documentation on how to use the application. In our case, we at Nelio Content have opted for two ways. First of all, we offer detailed documentation with the typical actions that you will need when using the plugin. You can find it on Nelio Content’s own help website. Welcome email: It is sent when the user accepts to start the trial period. We take advantage of this opportunity to thank them for trusting us and summarize the functionalities that they will be able to enjoy during this time. This way we make sure that they have the documentation at hand and do not get stuck in the first place. Reminder to connect social profiles: one of the most common problems we may get to lose a potential client at first is if they do not connect any social profile with Nelio Content. This is so because, if you don’t do it, you will hardly be able to create messages and enjoy the most powerful features of our plugin. That’s why we sent a reminder about the importance of this topic explaining how they can connect the first social profile in Nelio Content. We do it on the third day, and only if they haven’t already. How’s it going? One week after the trial period, we send an email asking our customers what their experience with Nelio Content has been up to that point in order to receive feedback and better understand their particular needs, if any. The benefits of the editorial calendar: four days after the previous email we send another reminding the benefits of using an editorial calendar. We do this to point out that if you haven’t been constant or haven’t posted new content for a week and a half after starting the trial period, it’s time to get your hands dirty and give the calendar a chance. Advanced information and first sales attempt: two weeks after starting the trial period we send this email in which we give information of advanced features of Nelio Content. If they’ve arrived here, it’s a good time to start showing them a little more power. In addition, they are in the middle of the period so this is when we suggest them the possibility of switching to a subscription plan. Analytics and second sales attempt: on the 19th day of the trial period, an email is sent announcing the possibility of using the analytics within Nelio Content to see which contents worked best and promote them again. We insist once again on the possibility of switching to a subscription plan by directing the customer to our website. You have one week left: a week before the end of the trial period, we remind the customer that after that date they will return to the free version of Nelio Content. We also highlight what it will no longer be available to them from that moment. In addition, they’re also encouraged to sign up to avoid that with an action button that gives them the option to make a payment immediately. You have 3 days left: we insist again 3 days before the end, regarding the benefits of subscribing and providing the link to do so directly on our website. You have 1 day left: the last attempt to convert the customer into a paying customer. We explain again the reasons why it is worth subscribing. We also offer the possibility of extending the period longer if they need it (and this is justified). The trial period has ended: after the end of the trial period, we send this email informing the customer that he has returned to the free version of Nelio Content. We also ask them if they can explain the reasons why they did not end up signing up. In this way, note that this is another channel to receive interesting comments or suggestions that can help us to improve the plugin. As you can observe, we try to space the emails we send to our customers enough to avoid being annoying. Being users of other tools, we’ve also received these types of emails and on many occasions, receiving a daily email is too much. For this reason, we decided to follow a periodicity like the one I’ve just described. In short, you’ll receive a maximum of 10 emails during the whole trial period. The welcome email we send when starting the free trial period of the premium version of Nelio Content. In addition to this, we always give you the option to stop receiving emails if you wish. There’s nothing worse than receiving spam and not being able to unsubscribe. We don’t want our customers to feel that way, so if they think they don’t need our help and know how to fly solo, that’s not a problem: glad to stop sending them! In fact, this may be an indication that the plugin is easy to use. Onboarding allows us to accompany our clients a little more and avoid that they feel confused or abandoned to their fate when they are starting to become familiar with Nelio Content. From a developer’s point of view, it may seem that your tool is very easy to use, but the reality can sometimes hit you very hard in the face. There are many people who are interested in using Nelio Content but have some difficulties just because they don’t know how to move with confidence in WordPress. We must put ourselves in the shoes of our users and make their life easier so that they don’t run away at the first chance; this is the best way to make sure that a significant percentage of them end up becoming paying customers. A small investment in training and support at the beginning can be a big leap in income later on. How did you feel about our way of working? It could certainly be improved in many ways, but at least it’s an initial help to our customers. Remember that you have the comments box below ready to explain your opinion to me. Come on, you’ve got me waiting here to read them all! Featured image by Samuel Zeller via Unsplash. If only I had a calendar where I could schedule all my upcoming posts… Hold on a sec, I do have one! And it even helps me to promote it on social networks! Discover our new plugin! Finding a good place to host your website is becoming easier everyday. There are many options out there for WordPress and the market evolution is constant, with unexpected turns, such as the recent news from Automattic. But what is clear is that sometimes, having so many options to choose from may be overwhelming. Whether you already benefit from a web host suited to your interests or are thinking of switching to a better one, in this article I’ll review those aspects that you should keep in mind when looking for a hosting provider. In addition, I’ll explain our experience as hosting customers over the past few years and why we changed our provider a few months ago. Before I start, though, I would like to point out that this article has not been sponsored by any hosting provider and that the opinions we show here are completely free. That said, let’s start! If you expected this article to be an updated point-by-point comparison on the different plans offered by web hosts, I’m sorry to disappoint you—there are already thousands of websites that take care of it (here’s an example). What I want to explain is more related to the experience I’ve had over the past few years working with WordPress websites. The most important thing about a hosting provider (or service provider, in general) is that when you need it, it should be there to help you. Because yes, sooner or later you’ll need to make use of its support service. The minimum that I’d ask for a web host is that they provide live chat, at least during office hours, and preferably 24/7. If the chat is not active all the time, they should provide you with a toll-free emergency number. And also, all this should come with response times as short as possible. In addition, they should allow you to open support tickets for the lower-priority issues. The more channels you have, the better. If every time you have to contact the support of your hosting you feel like this, switch to another provider. As I’ll explain later, problems often don’t happen from 8am to 5pm, but on a Sunday night while you sleep. If you cannot contact your web hosting provider when you need it, run away from it. Support for users is vital—we’ve already mentioned this blog many times. The second wish that your web host should grant you is a quality infrastructure. First of all, it must be secure. And this is very complicated, since 100% security doesn’t even exist, but some minimums should be met. Your hosting should allow you to make automatic backups frequently, at least once a day. And they should use quality hardware and renew it from time to time so you don’t fall behind. 2017 and still with an old hosting that slow? Seriously, what are you doing with your life? 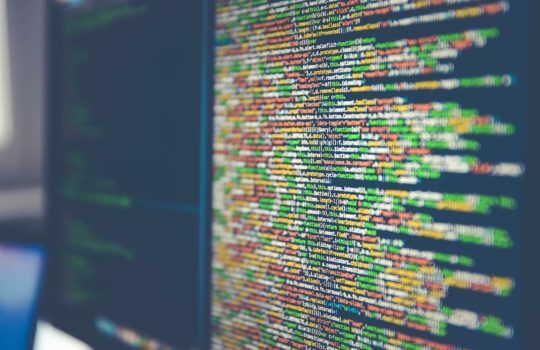 About software, if your provider is still using old versions of PHP or MySQL, you’re going to have problems related to both performance and security. Nowadays you should be able to use PHP7 as the usual PHP version if you are in WordPress. In addition to this, many hostings sell you that they’re specialized in WordPress but then they even aren’t able to update the version of the system every time a new release comes out. Your hosting provider should simplify your life and work for you, not the other way around. Be very careful with this aspect. The number of WordPress installations that you can find out there with outdated WordPress versions is still disturbing. Being an engineer shouldn’t be a requirement to manage your hosting. There’s still a long way to go in UX improvements in the field of web hosting providers, but it is clear that we are making progress. Ease of use is something that is increasingly taken into account—anyone may have the need to set up and manage a website today. Unfortunately, there are still web hosts who do not take care of these details and complicate everything a lot. If you have hired a hosting and you have no idea how to set up your web or configure basic aspects like your domains, then we have a problem. Managing your hosting in 2017 should be much easier than this. Otherwise, look for a different provider. It is clear that if the support they provide is adequate, at least you’ll have help, but you shouldn’t have to contact them every time you want to do something. In addition to this, a good hosting provider should notify you of relevant changes to your websites, such as major updates to WordPress, sudden drops in the service, or detected infections, if applicable. If your provider only contacts you to send you spam for additional services, but doesn’t send you an email at key moments notifying you that your WordPress will move to the next version or is down, think twice if it is worth to continue with them. Quality support, quality infrastructure, and quality user experience. These are the three great qualities that I look for in a web hosting provider. They seem easy to find today, but it’s almost impossible to put all three together into one provider. Let me tell you our experience with hosting providers. The web hosts we’ve used during our life time as a company have been, first WPEngine, and now SiteGround. Does this mean that these are the good ones and there are no more? Of course not. Both WPEngine and SiteGround are two recommended options, but not the only ones. You have many more at your disposal, and you must be the one who makes the final decision. In Nelio we started hosting our websites with WPEngine and the experience was good. The plan that we had contracted allowed us to have 10 WordPress installations, at a price of about 99 US dollars a month. As you can see, it is not the cheapest in the world, but sometimes if you want quality you have to pay for it. During the three long years we were at WPEngine I don’t remember having any problem worthy of highlighting. Its administration portal is clean and clear, and also has many options to help you manage your WordPress. It is very easy to be a WPEngine customer. If you don’t have technical experience, a self-managed WordPress hosting like the one they provide is very suitable for you. WPEngine User Portal. A fancy yet usable admin dashboard. As for the support, WPEngine has been improving over the years, even including live chat, which is, as I explained before, something essential for me. Of course, if you don’t speak English things may be complicated, since WPEngine is located in the United States and, at least while we were clients, all the communication was in the language of Shakespeare. Surely you may be wondering, if WPEngine is so good why did you change to SiteGround? The answer is somewhat more complex than it seems. The truth is that the main reason for the change was to centralize all the providers we needed into one. Let me explain it. WPEngine is a WordPress web hosting provider and they do just that. Therefore, in the case of Nelio we had the email server and the domain names, DNS and SSL configurations in LunarPages, another provider. And, the .es domain names (for Spain) was contracted with another additional provider, since LunarPages didn’t allow us to buy Spanish domains. Therefore, our online presence was spread out in 3 different companies, which caused a lot of trouble when we had some problem, mainly with the emails and domain names of LunarPages. In fact, the support provided by LunarPages was never to our liking, because of its poor quality and response times (sometimes it took days until getting an answer). But like everything, if something works, don’t touch it. Apparently, the LunarPages FAQ indicates that it is the responsibility of the customer to request the renewal of the SSL certificates one month before they expire. Otherwise, they are not automatically renewed. At that time I was quite angry to find it out the hard way, but the main problem is not the FAQ itself, but the fact that we weren’t warned about it when purchasing the SSL certificate. So we fell headlong. The small print should always be read. Here’s a screenshot of the LunarPages FAQ where they let you know that SSL renewals are your duty. That was the straw that broke the glass and the main reason to definitely leave LunarPages and find a provider where we could centralize everything: emails, domains (both .com and .es), DNS, SSL, and WordPress web hosting. And this is how we ended up with SiteGround. If you are looking for web hosting providers specialized in WordPress that also allow you to manage the entire package (emails, domains, certificates …), the options are vastly reduced. Many focus on web hosting and forget about the rest. I’m not going to fool you, the main reason to choose SiteGround with respect to the competition is that it has entered the Spanish market with strength, betting on the WordPress community and sponsoring many events. 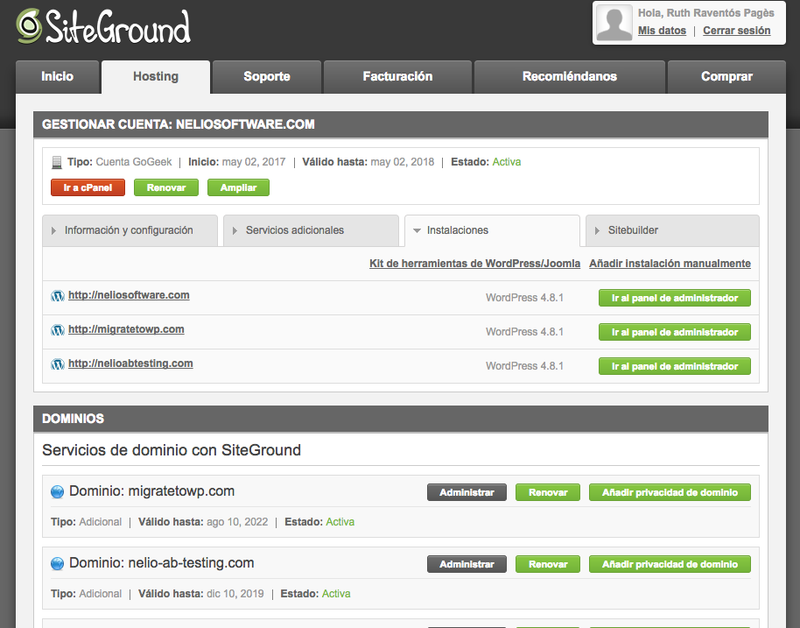 Many fellows are already in SiteGround and have a good a experience with it, so that put the balance to their side. Once we made the change, which is never fun since you want to avoid having the web, the emails, or the domains down, the truth is that it turned out to be simpler than we had imagined at first. It is also worth to mention that, in our particular case, all the experience that we got after spending our first steps doing migrations to WordPress was of great help here. SiteGround’s User Panel. IMHO, more complex than WPEngine’s, but with more functions for advanced users. My current opinion is that having everything in SiteGround facilitates our management, because if there is a problem you just have to contact a single company. For now the support they have provided us was great. We had to request it several times, due to some occasional fall of their network and some problems with unusual configurations we needed. SiteGround is not a perfect hosting, but I don’t think there exists perfection either, so we didn’t complain too much here. Compared to WPEngine, there are many differences. 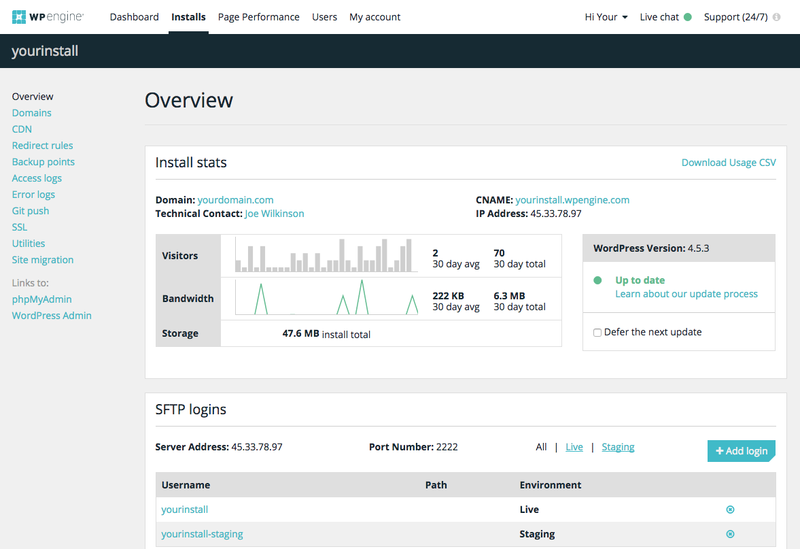 SiteGround is cheaper, but WPEngine has a much easier user portal. In SiteGround, if you have not used cPanel, you better ask someone for technical help, since you can get lost between the large number of options and functions available. In our case, having that freedom to play with these things has been an improvement. As always, choose the option that best suits your needs and your pocket. There is no perfect web host. But at the very least you should ask yours to be available and help you when you have a problem, use current technology, and be secure and easy to configure and manage. If your hosting does not fulfill these three demands, seriously, get another one. And remember that often cheap things may become expensive. There are many alternative providers today that are at your service and will even help you during the migration process. Don’t be afraid of the change. In our case we have SiteGround right now because it fits our current needs, which may not be yours. And if ours change, we won’t hesitate to look for other options. The market is big and that’s always good. Featured image by michael podger via Unsplash. When we released Nelio Content one year ago, we promised one thing—it’ll make content creation and promotion faster and easier. Now Nelio Content is about to turn one year old and I think we’ve delivered what we promised! And I’m not the only one with this opinion. Our plugin has over 3,000 active sites. Nelio Content subscriber base is growing week after week, which demonstrates that we’re solving a real problem. I think that part of its success is the care we take in what we do. If you look at the plugin‘s changelog you’ll see what I’m talking about. We’ve been improving it release after release, so that you could enjoy working with it. Every single release in Nelio Content had the same goal in mind: make your life easier. 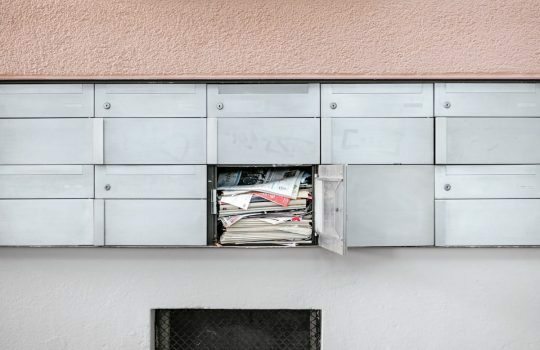 Custom post types in version 1.1, share selection in version 1.2, or integrated analytics (version 1.2 too) are just a few examples of simple functionalities with a huge impact in your performance. But that’s nothing compared to what we’ve created now. Version 1.3 is the best solution you’ll find to increase your productivity. Since today, you can rely on Nelio Content to do all the hard work for you. Yes, that’s right! The plugin will work for you; not the other way around! 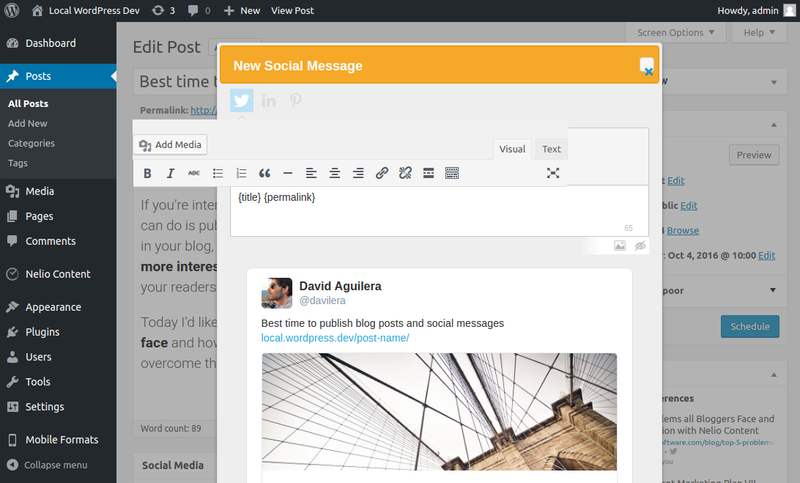 The base version of Nelio Content will boost your efficiency at writing and promoting content. But, if you really want to take your blog to the next level, you need to focus on writing content and let us take care of the “boring stuff”. 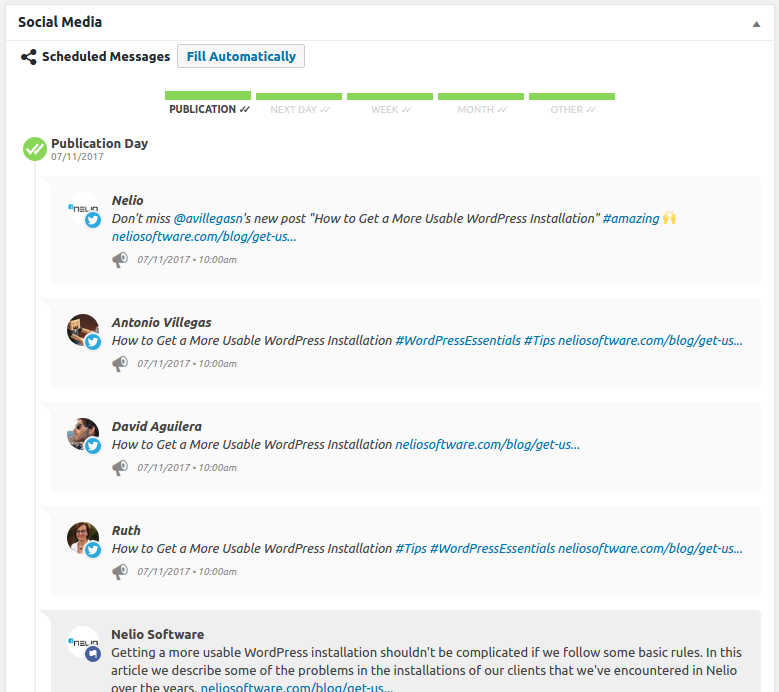 Nelio Content with Social Automations is now able to promote your posts without your doing anything! 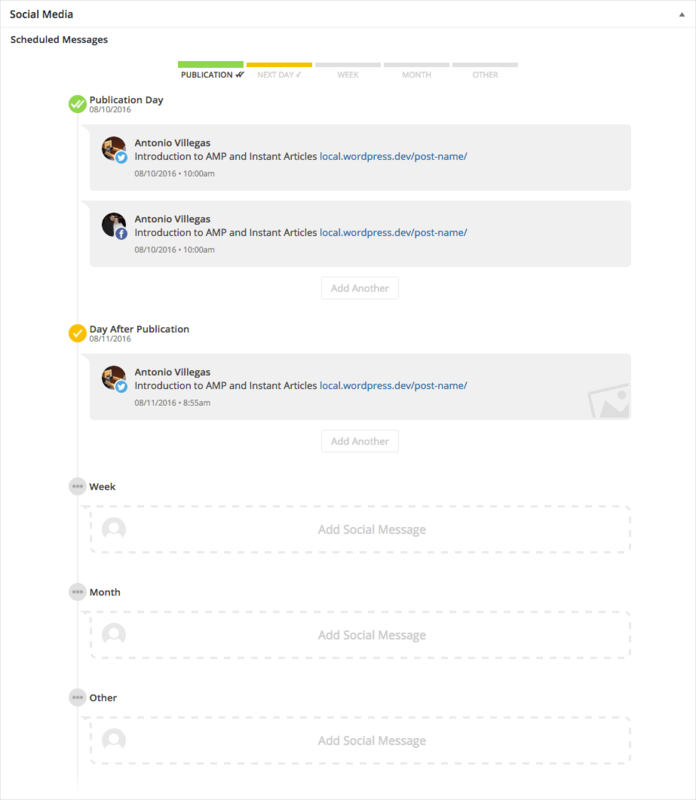 Viewing the scheduled social messages you have for any post and adding new ones is extremely easy with this timeline. Nelio Content with Social Automations automatically creates all the social messages you need to promote a post. Click on the button and let it do the hard work for you. Automatically-generated social messages are based on (a) the content of your post and (b) social templates. The messages automatically generated by Nelio Content are based on (a) your post content, because Nelio summarizes it and extracts the most relevant sentences, which are then used to create tweets, and (b) using social templates that you can customize. Nelio Content with Social Automations will fill all your social profiles for you with older content if there’s nothing new to share. This way, you’ll maximize your chances of driving traffic to your website. Traffic acquisition. The more traffic it generates, the most likely it’ll be reshared. Age. Newest post are more likely to be shared than older content. But old posts will still have a chance to get reshared. Manual overwrites. If you tell Nelio not to share a specific post, it won’t reshare it automatically. The goal of Nelio’s automations is to make your life easier. But we want to make sure that, whatever it is that our plugin does, it’s something you’d do manually. 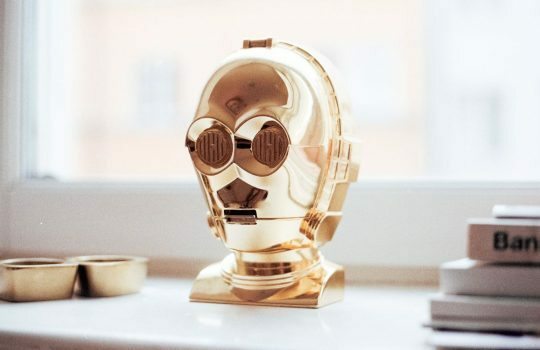 That’s why you can customize how social automations work. Just take a look at our knowledge base and learn how to configure your social profiles, your social templates, or the automatic publication frequency. You can easily customize how your automatic messages will look like by customizing the social templates included in Nelio Content. All icons are now SVG-based, looking gorgeous on all screen sizes. Select the post category during its creation in the calendar. 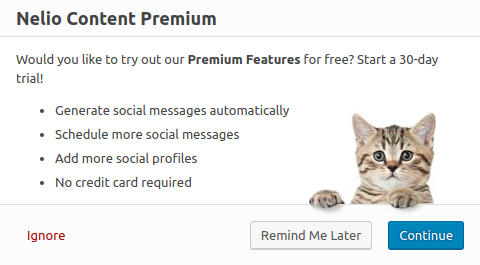 We improved preview block when creating new social messages and no profiles are selected yet. We updated all our underscore templates. They no longer use ASP-like tags <% %>, because they generated a 500 server error in some installations. And many, many more. Just download the plugin and check how awesome it is! So, tell me, have you already tried it out? Do you like it? Share your thoughts with us in the comments section below and helps us to create an even better plugin! Featured Image by Jens Johnsson. If you need to automatically run tasks very frequently in WordPress, you may end up collapsing your server or receiving timeouts (your server stops executing your code because it required too much processing time or resources 😱). Luckily, we can schedule this type of tasks using WordPress cron events. I’ll explain how to do it, but let me explain first why we had to use this functionality in Nelio. If you’re a new visitor who end up here without knowing anything about us, welcome! In Nelio we are dedicated to create plugins for WordPress and to make a living out of it. Today I’ll tell you about Nelio Content, our plugin to help you improve both the creation and promotion of your website content. Since version 1.2.0, Nelio Content includes an analytics section where you can check how well (or bad 😑) your content is performing. The idea is that you can see both the effectiveness of your posts according to the number of pageviews they have and the degree of engagement they have generated in your social networks (that is, how many likes they have on Facebook or LinkedIn, how many comments they received, etc.). As you see, this is very easy to explain and understand, but adding analytics entails a big problem: how can I get the analytics data updated without causing my WordPress server to freeze? Damn, that’s tough 😓. Every time a visitor visits a page or post, we save the visit tracking info in the database to count as a +1 in the total number of visits of that content. We access this information through an external service, such as Google Analytics. Saving the tracking information of visits directly in WordPress is a nightmare. If you have a web with a lot of traffic you’ll end up compromising its speed because of the database. You’ll collapse it doing writes in the tables constantly. Bad idea! Storing this information in the cloud has a (high) cost that we would have to pass on to our customers. That’s feasible, but we wanted analytics to be accessible to everyone… So it’s off the table. If we track the information about visits (regardless of where we save the data), our users won’t be able to see real data at the moment, because you’d need to wait a few weeks so that we can collect information about your visitors. But we want data ASAP (not only we develop Nelio Content, but also use it on a daily basis… and we’re some of the most demanding customers we have 😊)! If most websites are already tracking this information with specialized external tools, are we going to reinvent the wheel here? It does not make much sense. Taking all of this into account, we decided to use the Google Analytics API to get the pageviews information. Now, we still have the problem of when to update the data. Querying Google Analytics every time we need the data is not the wisest solution. In addition, we also have social network analytics, which we cannot calculate every time because some APIs have restrictions on the number of calls that can be made in a certain period of time (yes, I’m looking at you, Facebook 😞). In the end, we arrived to the conclusion that we must have this information pre-calculated in the client’s database, and then update it from time to time if it makes sense (note that if we try to update it every minute, we will be collapsing both the database and the WordPress server). And don’t worry about storing this information in the database—for each post, we just save its total number of pageviews and engagement metrics (that is, we only store aggregated data, not every individual tracking information). Therefore, the additional space we occupy in the client’s database is minimal (a few more postmetas, which we automatically remove if you disable the plugin and so indicate us at that time). Allow users to calculate analytic data for the latest posts when enabling analytics in Nelio Content. This way you can have valid data from the first minute of using our plugin. First, update the analytics of the content published today. One hour later, pick up a few posts published a month ago and update their stats. One hour later, pick up a few posts published more than a month ago and update their stats. One hour later, pick up a few posts from the top of the analytics and update their stats. One hour later, start the process again from the beginning. Give the option to the users so that they can update the analytics information at any given time in the settings of Nelio Content. This is useful for the most demanding users who might want to start the re-calculation process themselves. As you can see, we are only running the process every hour, and in each execution we only re-calculate the analytics of a very small number of posts, so that the server load is not affected and we respect the limits of the social network APIs. In addition to this, the selection of posts to re-calculate is done wisely. For each post, the date of the last time the statistics were recalculated is stored. We use this value to sort the posts and update those with older data. This approach works quite well on most situations: when new content is published it usually gets more visits, comments, and activity in social networks during the first day of life. Therefore, the entire pattern we described before makes sense. In Nelio Content we update more frequently the newest posts and also the most relevant ones (that on top of the ranking), while still saving some time to update the rest of your content. How the WordPress Cron Works? Every time a page is loaded in WordPress (either a post, your homepage, or any other content accessible through a URL in WordPress), a list of scheduled functions is checked to see if they should be executed or not. If there are some functions, they’ll be launched asynchronously, so that their execution doesn’t affect your page load. Tasks that run only once at a predetermined time, such as publishing a scheduled post for Thursday at 10am in the morning. Recurring tasks. These are tasks that have to be executed from time to time, such as checking for updates of plugins or themes. This way you will execute the function my_task() one hour after the moment in which you execute this code (you can test it by putting it directly in your functions.php, for example). Look at the information in the Codex about the wp_schedule_single_event function. Again, you have the details in the Codex for the wp_schedule_event function. It’s very simple, believe me. If you want a more detailed tutorial, don’t miss this one from SitePoint. By the way, if you want to see which tasks you have scheduled in your WordPress cron, you can do it by installing the WP Control plugin. This has been very useful to do the tests during the development of Nelio Content analytics. Both are libraries that are going to provide you with more complex options than you’ll find with the WordPress cron, but I recommend you take a look at them because they may be more suited to your specific needs. If you have reached the end of this post, congratulations! As you’ve seen, there is always a lot of work behind a concrete functionality. Surprisingly, though, most of this work is about discussing/deciding how to do things, rather than actually getting them done. Featured image by Markus Spiske. A few weeks ago the guys at Media Shower interviewed me and we discussed about the future of WordPress and how to get more out of it. There I mentioned some of the products we’re working on and how they can help you in your daily tasks. One of these services is Nelio Content, which hit version 1.2 last week. If you don’t know our plugin yet, let me tell you it’s a wonderful tool for saving time during your daily blog-related tasks. 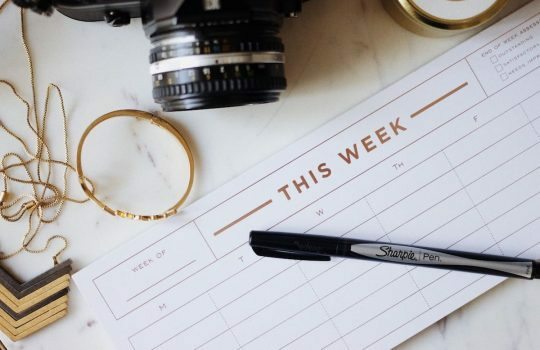 If you want to learn more about how our plugin helps you, take a look at our previous posts 5 Common Problems Every Blogger Has and How to Create a Successful Editorial Calendar—there we describe in detail all the problems Nelio Content aims to solve. Today I’d like to present some specific functionalities included in Nelio Content and, in particular, the new swag we added. Version 1.2 does not only fix a few issues we identified, but also implements new awesome features. Install Nelio Content right away and discover all it has to offer! Oh and, by the way, remember there’s a completely free (as in free beer) version in WordPress.org,—use a premium plugin and pay nothing! 😇 How cool is that? If you have a blog and (try to) write there consistently, you probably know how difficult it is to keep a good pace. 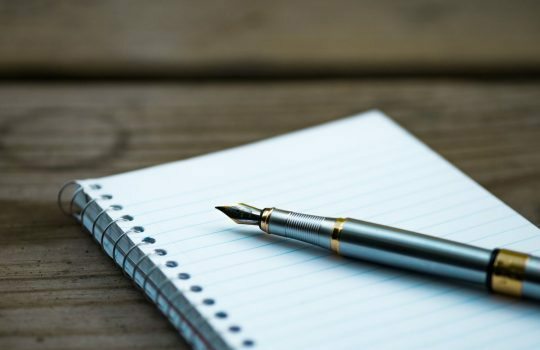 Not only do you need to write content—you also need to think about the topics you’ll be covering, share your content on social media, and manage your editorial team. In other words, there’s plenty of work! A few months ago we had a complex situation too—we had several blogs in multiple languages and we had to develop, maintain, and support our WordPress plugins and services. The more time we invested in our blog, the fewer time we had for other tasks… and these other tasks are the ones paying our bills! Now, don’t get me wrong, our blogs played an important role in our company—they help us gain visibility and we can contribute to the community by sharing our knowledge with others. But balancing our efforts between the blog and everything else was crucial. We don’t have a visual interface for scheduling upcoming posts. A calendar would be great. Searching, managing, and adding references for those posts is difficult. We would like to include other people’s posts as “references” in our own content, so that we can create richer discussions and build a solid network. We spend too much time in social media sharing our content. We want to promote new content faster and repurpose old content easily. We want to identify the content that works the best in our blog and share it as much as possible. In summary, we faced the problems that you and other bloggers face every day. To solve them all, in 2016 we started the development of Nelio Content and by June we launched the first version. Editorial Calendar. 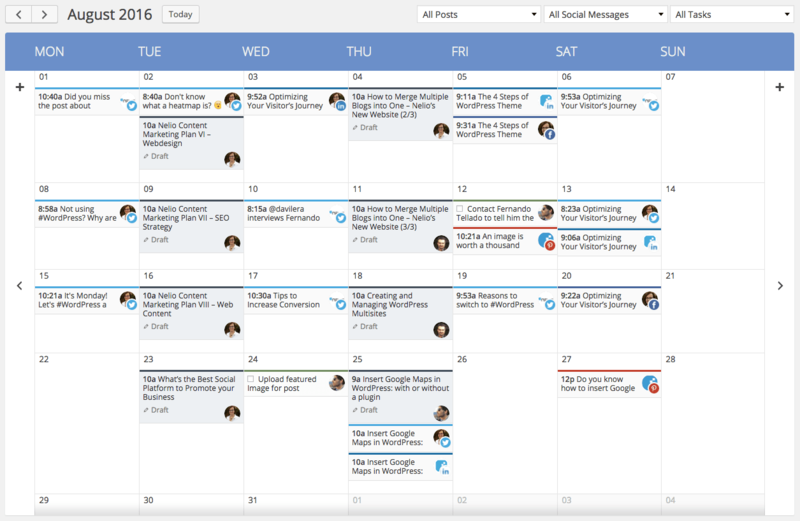 The Editorial Calendar shows all your published and scheduled posts, as well as other elements related to your marketing strategy. We solved the most worrisome problems in this first version. 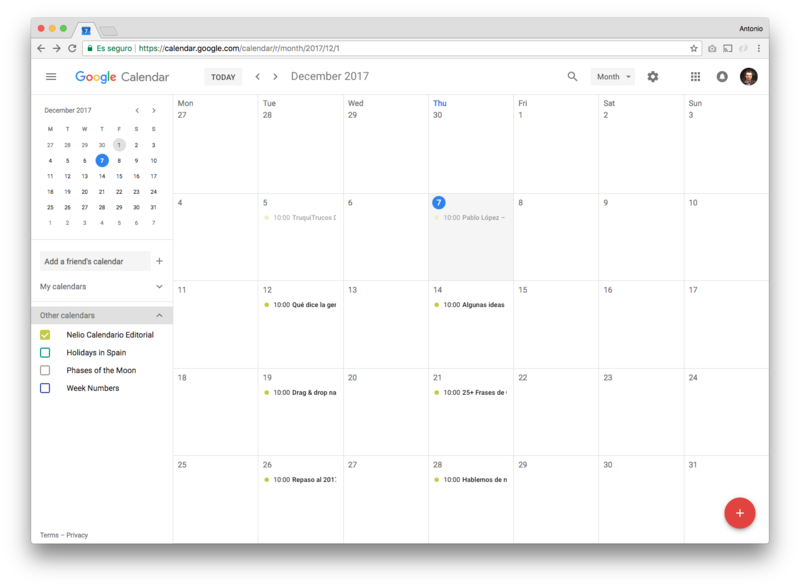 In particular, we included a beautiful editorial calendar, we simplified the scheduling and sharing of social messages, and we automated the quality analysis. Some solutions didn’t make it in the first version, but I’m happy to tell you that development is quite active… so they were or will be included in next releases. If you take a look at our changelog you’ll see that version 1.1 was about polishing some details and fixing tiny bugs. That is, we worked hard to create a stable and useful plugin. Version 1.2 does also include some tiny bug fixes and stability improvements, but it includes some new functionalities that I’m sure you’ll love. Let’s dive into them! Runners measure they pace. Investors study all the financial data available. Parents look at their children’s grades. We all look for some metrics that tell us how well we’re performing, because they’re the best tool we have for improving. And blogs are (or shouldn’t be) no different—we need some analytics to learn which content works the best with our readers and focus on those topics. And that’s what Nelio Content brings you now—blog analytics! I know what you’re thinking right now: yet another analytics tool? Really? And I completely agree with you—there’s no reason for creating a new analytics tool… and we didn’t! We know there are some wonderful analytics tools out there (did anyone say Google Analytics? ), and we wanted to base our metrics on theirs. The problem with those tools is their complexity—there’s so much data available and so many options that it’s quite easy to feel overwhelmed. The result? You don’t pay much attention to the data that really matters. 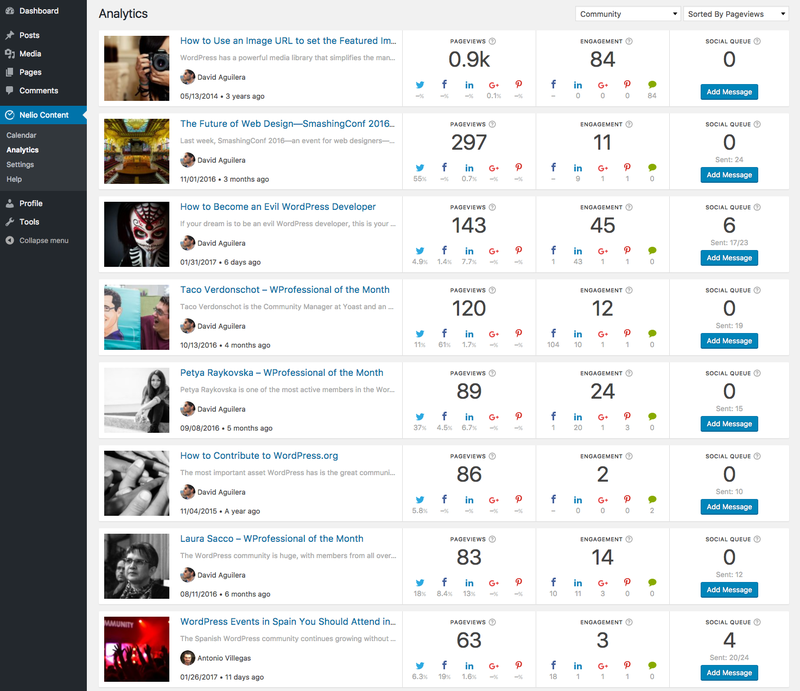 Screenshot of the Analytics offered by Nelio Content. The social engagement of your posts, according to the data provided by social networks. Likes on Facebook, shares on LinkedIn, comments in WordPress, … All these interactions are stored in your database and help you identify which social networks work best with your audience, so that you can focus your promotion efforts on them. The posts that attract more traffic, according to Google Analytics. One of the main goals of any blog is to generate traffic, so that you can make money out of ads or with the products you sell in your website. Therefore, you must know which posts (and, thus, which type of content) drives more traffic, so that you can become an specialist in the topics covered by those posts. Moreover, we also identify which social networks drive more traffic and thus give you more insights about your audience. As you can see, we added simple, yet powerful, analytics—they offer actionable information so that you can understand it and create better marketing campaigns. Analytics clearly show you the most popular posts in your blog, and invite you to re-share them. Just think about all the effort you put in crafting a beautiful post—why should you let it die so quickly? If your current visitors value an old(ish) post, let new people know about it! As I was saying, Nelio Content will tell you which content works the best and will give you an easy way to re-promote it on social media. Just click on the Add Message button to schedule new social messages and get even more traffic. Good ideas never die… so make sure you keep using them! This functionality is a huge improvement in your workflow. I’ve already mentioned Nelio Content helps you to share content on social media easily. In particular, you can create and schedule a social message that we’ll share where you want, when you want. However, you still need to create this message manually… and I said we want to help you save time! 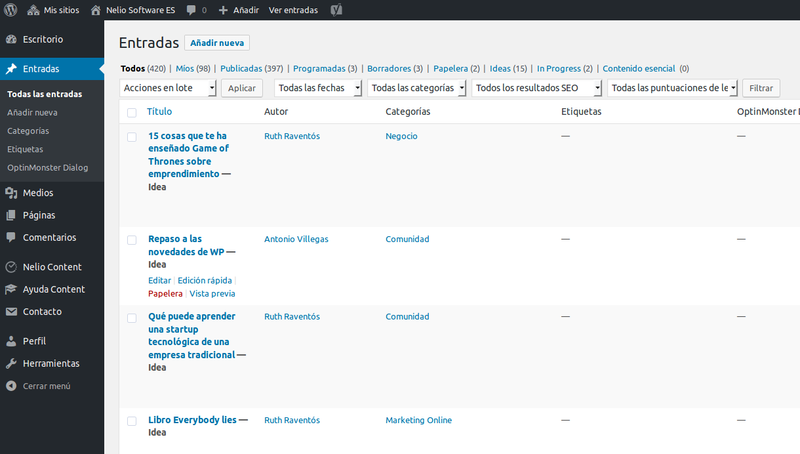 WordPress visual editor with some text selected and Nelio Content‘s Share Selection button. With Nelio Content 2.1 you can select some text in your post and share it with just a couple of clicks. Stop writing social messages manually or copying and pasting stuff—let our plugin take care of it! After deactivating some CSS rules added by PageFrog, Nelio Content’s Dialog is finally usable. There are still a few issues to address, though. 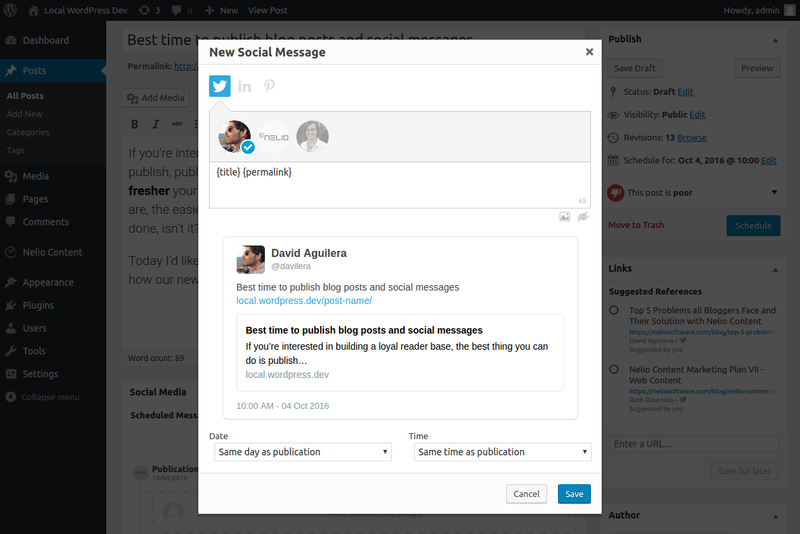 Screenshot of Nelio Content‘s Dialog for adding new social messages. This second dialog is perfectly integrated within WordPress, with the right color scheme, buttons, modal behavior… The first dialog was a total mess! As it turns out, this usually occurs because of WordPress‘ built-in scripts. WordPress includes jQuery UI in core, but it doesn’t include its stylesheets, which means that plugin developers need to enqueue their own versions of those stylesheets. Unfortunately, doing so carelessly overwrites some default CSS rules and breaks the UI. To fix this issue, we added a tiny stylesheet at the end that re-redefines those probably-overwritten rules, so that they look exactly like WordPress originally set them to look like. Finally, and as always, Nelio Content 1.2 includes several minor improvements and bug fixes. Thus, for instance, we have fixed external featured images on Newspaper, we have increased the length of social messages on Google+ and Pinterest, and we have fixed a bug when sharing social messages with HTML tags on it, among others. We’re extremely happy with the new version of our plugin. I honestly think it can help you a lot in your daily tasks. If you want to give it a try, download it from WordPress.org and install it in your site. And if you have any ideas or requests for upcoming versions, let us know! Featured Image by Edewaa Foster.